A COMPANY MADE BY LOCALS, FOR locals. Schedule online for a free, on-site, no-obligation estimate today! At On Call Junk Haul, we care about the services we sell, and we’d like to share our most important services with you. We are your local junk removal and dumpster rental company! 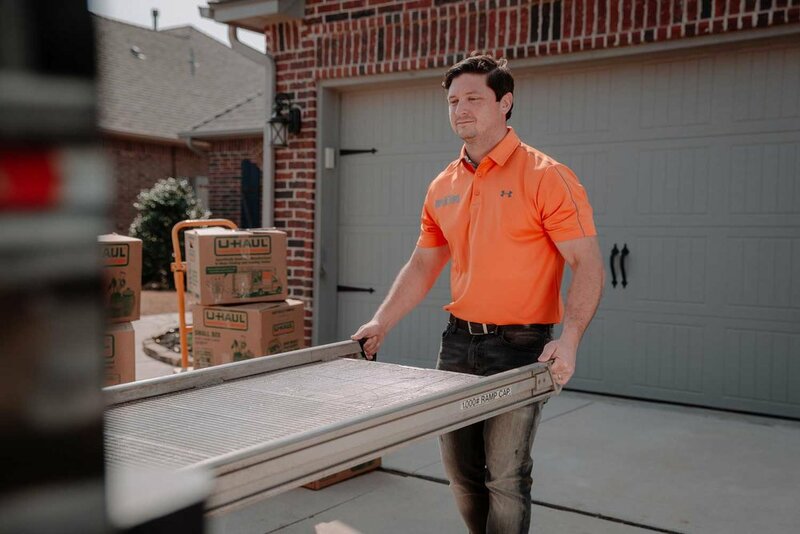 We are a constantly growing and expanding, family-owned and -operated business based in Edmond, Oklahoma, and we are always looking for new ways to help our community. Because of our expansion, we are now introducing Roll-Off Dumpsters. Our Roll-Off Dumpsters are 15 cubic yards in volume and are available for up to a 10 day rental for only $340. (see our Dumpster Rental page for more details)! Blake, the owner, grew up as a hard working Deer Creek boy. He cares so much about people and his clients. The business has 200 reviews and they are great! This is a company that can be trusted to do the right thing, accommodate requests as much as possible and do what they say they are going to do. We are a team of family-friendly, courteous, and professional leaders that work with a sense of urgency and special care to ensure that the job is done quickly and correctly, and we go the extra mile, leaving your property better than we found it. We would love to help you make your home look exactly the way you want it, so give us a call for a free, on-site, no-obligation estimate today, or book online now! "On Call junk Haul and the boys did a fantastic job with junk removal of a remodel that I recently did. If there was a job to walk away from it would have been this one! We had Tubs, tile, all sorts of boards with nails and wire mesh filled grout from tile that was put down 50 years ago! It was loads of junk!!! Anyone looking for a junk hauling company needs to call these guys. Very impressive work!" "We were very impressed with On Call. They were professional, efficient, and affordable. Would highly recommend." "On Call Junk Haul was great to work with helping my family move and my junk removal. They were friendly, on time, and quick! Will call them again." "Very effective and efficient. Best customer service around and the price is awesome. Roll off dumpsters are a great size. The moving services are fair with great hourly pricing. The junk removal process is quick and the pricing is amazing." "Danny and Arley were so great! They did an amazing job helping us get a rent house cleaned up from bad renters. They were on time, communicated with us before, during and after the job was finished. I would highly recommend them for any of your moving or haul off needs!!!" Just about everyone has junk lying around they no longer want or need, but it’s often not that easy to find ways to get rid of it. 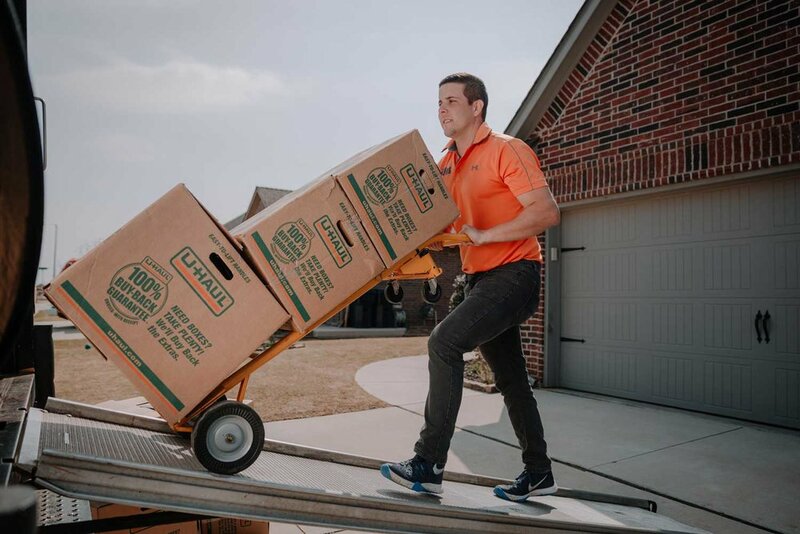 At On Call Junk Haul, we offer junk removal in Oklahoma City and Edmond to provide residents and businesses with a fast, easy, cost-effective way of getting rid of materials or other items they no longer want that can’t be thrown into your regular trash pickup. We offer roll off dumpsters, junk hauling and other trash hauling services throughout the area. Whether it’s renovations around your home or business or you are trying to clean out odds and ends, sometimes you need a big dumpster in Oklahoma City and Edmond. With our roll off dumpsters, we will deliver one at the desired location and leave you to fill it up with whatever you want to get rid of. When you’re done, just contact us and we will send out one of our trucks to pick it up. It doesn’t get any easier than that! Get the job done with a dumpster rental today. In most cases, you aren’t able to put bulky, heavy items out with your regular trash pick-up. That’s where we come in. 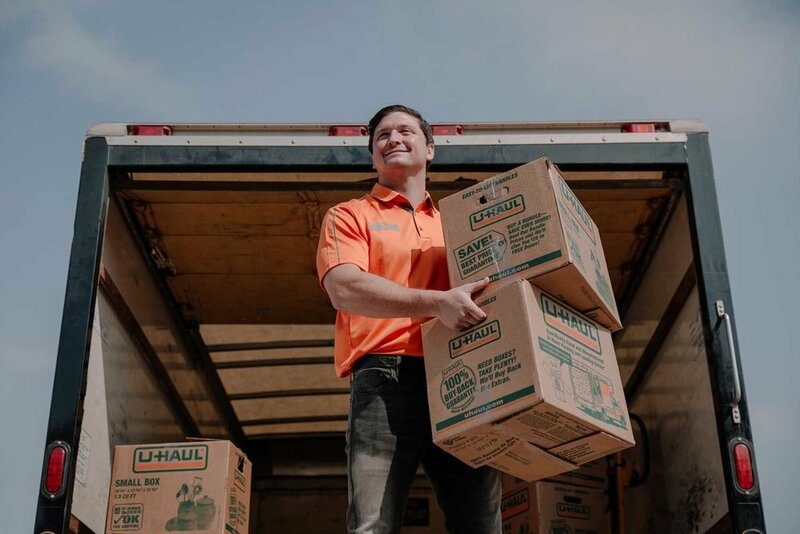 Our junk hauling in Oklahoma City will help you get rid of anything you no longer want, no matter how big. Our professional team will come to your location and haul any of your trash away, giving you the opportunity to clear out some space without worrying about how you will transport it to your nearest dump station.